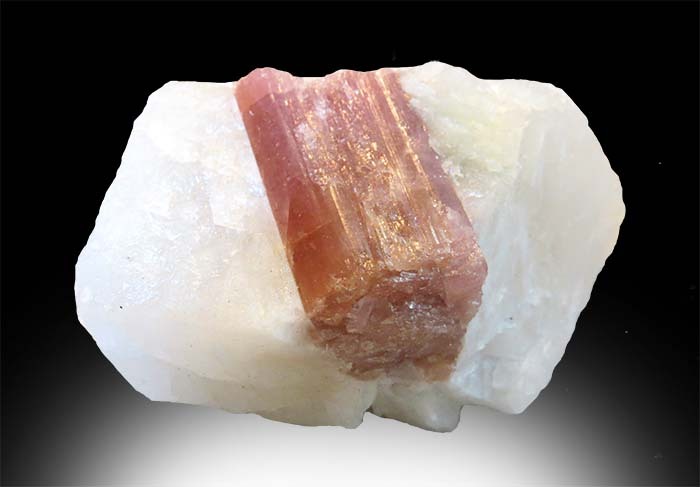 Tourmaline is a crystal boron silicate mineral compounded with elements such as aluminium, iron, magnesium, sodium, lithium or potassium. 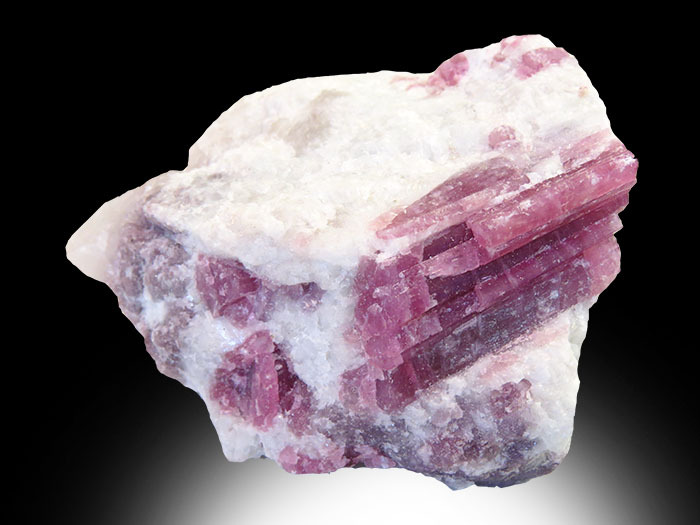 It is most commonly black in color, but can range from brown to violet to pink. 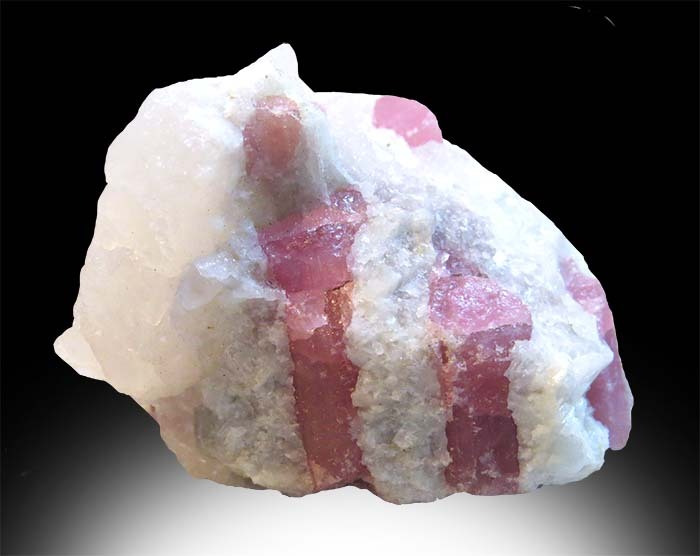 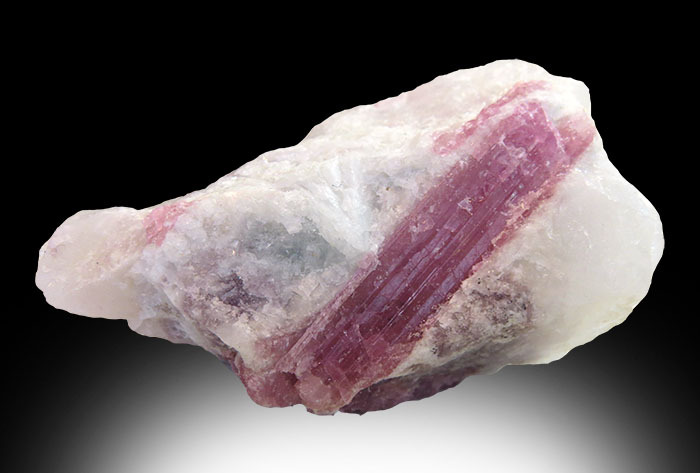 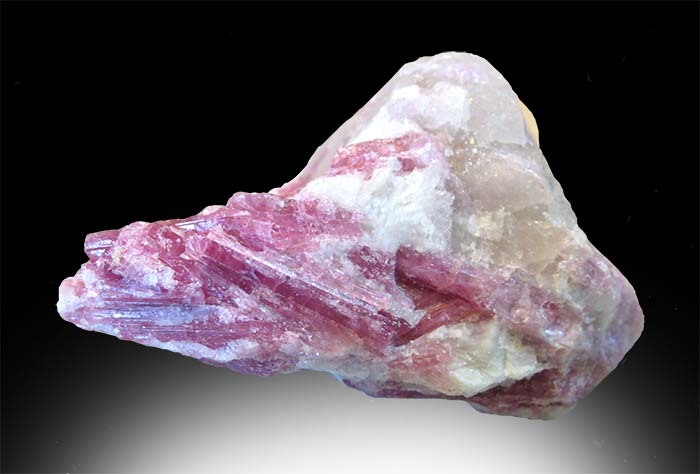 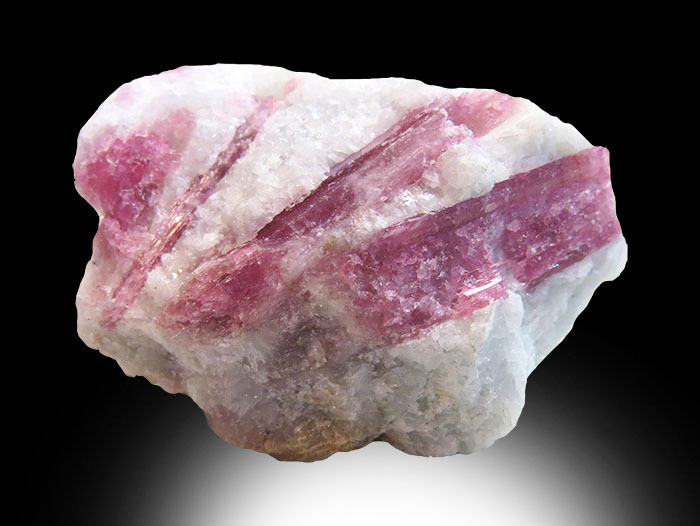 This pink variety is known as "rubellite" from the word ruby.